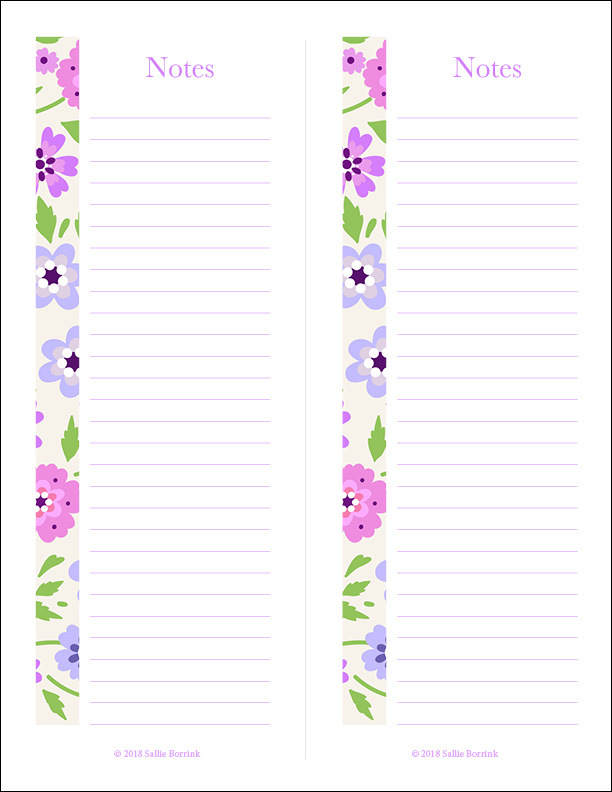 Do you like making lists? 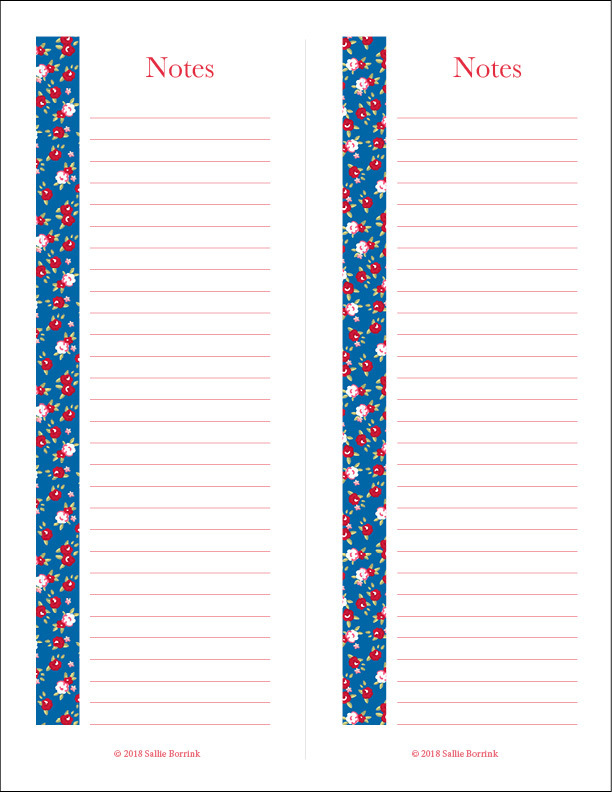 I’m a major list maker so I can always use another lovely pile of note paper. 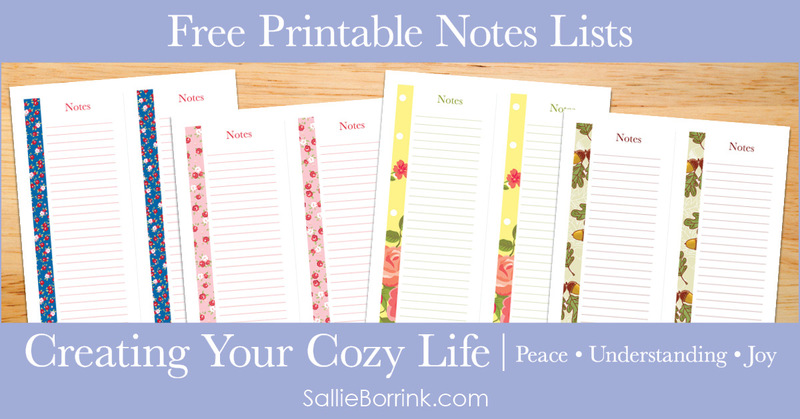 These free printable notes lists will give you lots of pretty options to use all year! 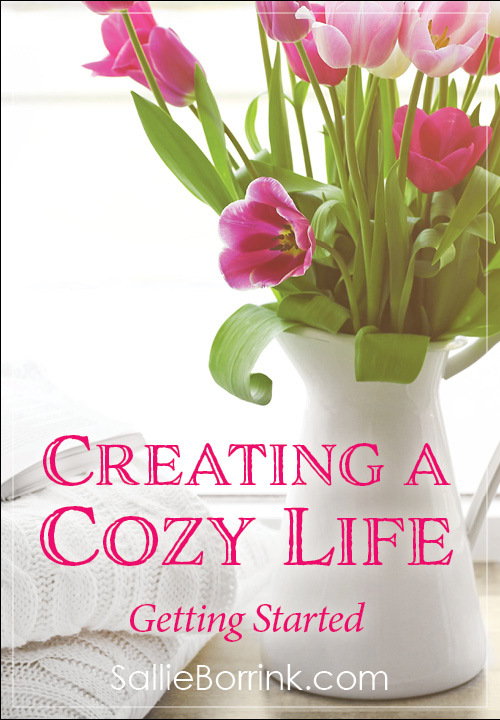 As part of my free Creating Your Cozy Life Planner, you can use them to help bring more peace, understanding, joy, and beauty to your life and the life of your loved ones. 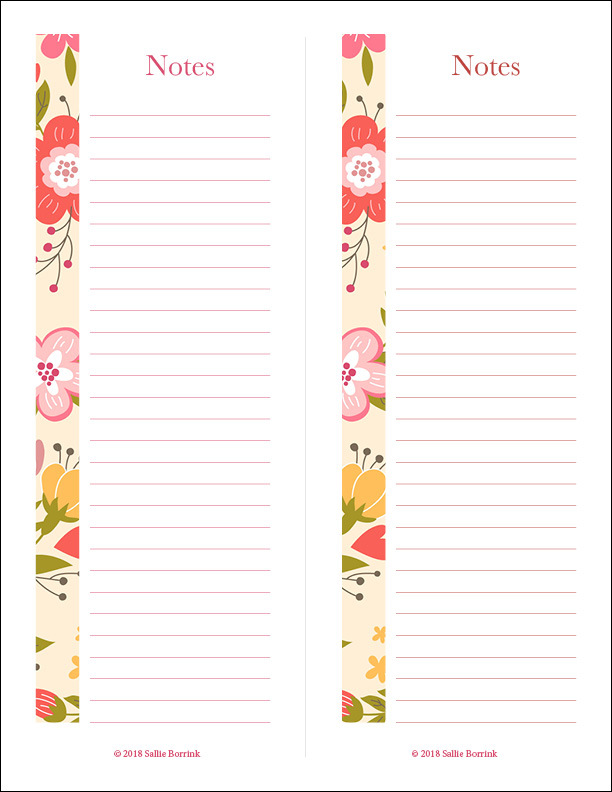 A big part of peace is being organized and making lists will help you be more organized. Click any of the three pictures below to see a larger preview of each example. It’s very easy to download these notes. Simply click on the image below with the purple flowers. This will launch a PDF that you can save to your computer. 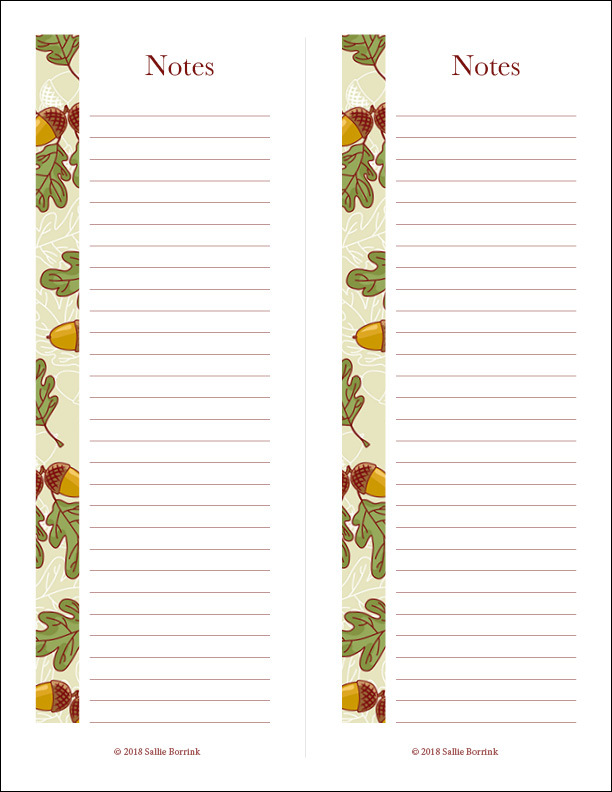 Feel free to print as many different notes as you would like for your personal use. Thank you for respecting my hard work and not sharing these free printables online or in any other way. If you know someone who would like a copy of this file, please direct her to this post so she can download her own copy. Thank you! 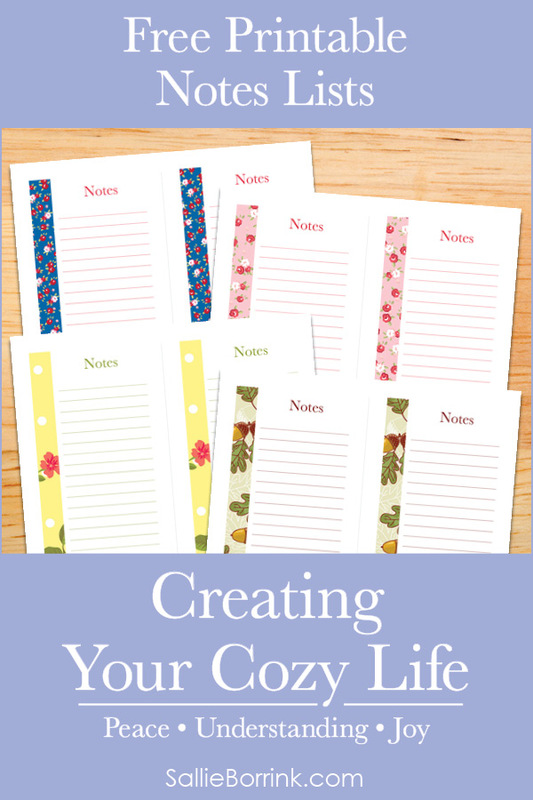 I hope you will check out the many other free printables I have that include both planning/planner printables and learning printables. A Cozy Christmas Planner – My Gift to You!